This is good advice for all of us. We have to start where we are, doing the best we can. Once we learn a better way then we can incorporate that. The most important point is that to do the best we can means that we must start. We must begin. Action, not thought is required to get better at anything. 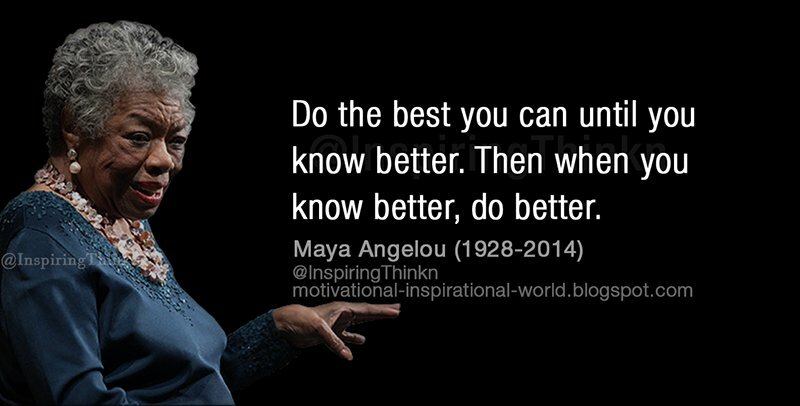 This entry was posted in Hunger & Poverty, Quotes and tagged action, beginning, good advice, improvement, knowledge, Maya Angelou, quotes, starting on November 29, 2016 by Ray Buchanan.